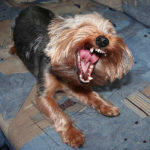 The teeth of any dog, regardless of breed must be in perfect condition. 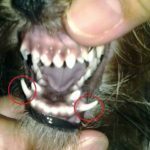 The lack of proper care of the teeth of the pet may cause the emergence of dental calculus, cracking of enamel, yellow teeth, the appearance of unpleasant mouth odor and even falling out of teeth. Besides, if the owner wants his purebred pet to have a brilliant show career, special attention must be paid to oral hygiene. To teach your pet to examination and teeth cleaning is necessary from puppyhood, namely, from three or four months of age. 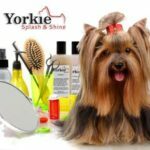 Yorkshire Terriers, like most other decorative, miniature dog breeds are prone to various diseases of their teeth. 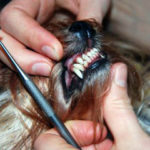 Therefore, careful care of teeth of this small pet is the systematic inspection, cleaning, prevention of gum disease, education and elimination of dental calculus. You can carry out this necessary procedure for a dog in the salon, veterinary clinic or independently. For a pet to perceive this procedure adequately, it is necessary that it should accustom it. First you need to teach your dog not to resist opening the mouth. 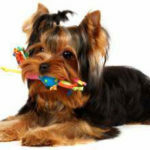 For this give for a few weeks some treats to ypur pet from your hands and take the dog for a muzzle. Then you need to calmly, constantly praising the pet to open the mouth of a baby, touching the teeth. When York come to perceive the actions of the owner, raising a lip, you need to bare a grin, giving the command «Show teeth». Do not forget to encourage the dog with praise or a treat for obedience and patience. The procedure should be performed daily, preferably in the morning and the evening. 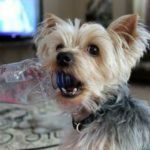 Such manipulations should not cause discomfort to the dog and in the future will teach a Yorkshire Terrier to calmly clean its with a teeth tooth brush. Note! Until the moment the baby changes the milk teeth to the permanent ones you need to buy a special tooth brush and paste at a pet store or a veterinary pharmacy. 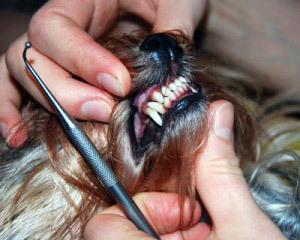 Changing of teeth of a puppy York occurs under the age of six or seven months. 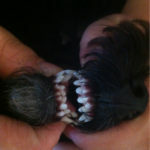 If up to this point, the milk teeth aren’t replaced, you need to show your pet to the veterinary clinic. 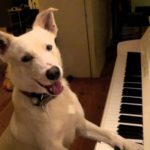 Otherwise, the dog will form an overbite. We recommend you: not to use ordinary human’s toothbrush for cleaning teeth of the pet. Today with a wide range at any pet store you can find all the necessary attributes for carrying out hygienic procedures of the oral cavity. Toothbrush should fit the size of the mouth of the dog. 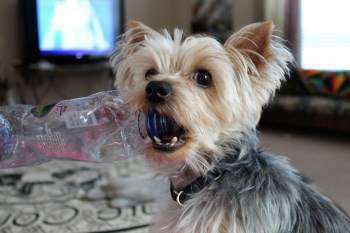 For Yorkies, it is preferable to buy a small brush that fit on the finger. This form is the most convenient for cleaning small mouths and does not cause discomfort to the dog. You can purchase a brush with a long handle and soft bristles, arranged in two rows. 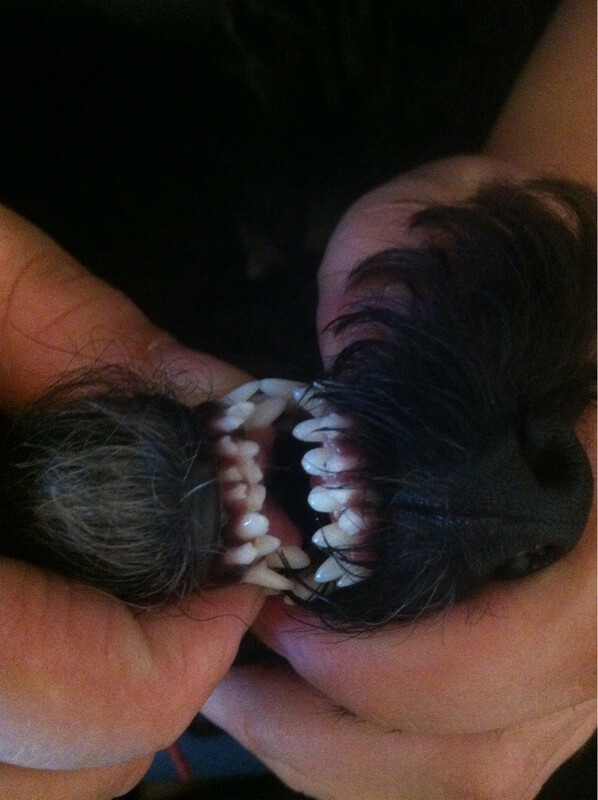 Soft bristles won’t hurt gums and the enamel of milk teeth of your pet. To whiten enamel it is allowed to use improvised means, for example cabbage, lemon juice, tomatoes. 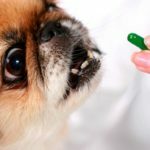 Do not forget to periodically give your pet to chew on the special «cookies» or bones, which remove plaque and dental calculus from the surface of the animal’s teeth. 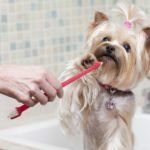 So, the puppy is accustomed to the command «Show teeth», calmly accepts the manipulation in the oral jaws, the tooth brush and toothpaste are purchased, you can begin brushing your pet’s teeth.